Possessing a vintage item makes me feel like I've been part of the old era. They might have weird fashion and jewelries, however, because of it, we go back to those ideas and we create something that would be acceptable nowadays. I'm thankful that I'll be able to experience this opportunity to possess one of the Vintage style robot necklace from Lavishy Boutique. It comes with silver and gold and it is a lead and nickel free necklace too. 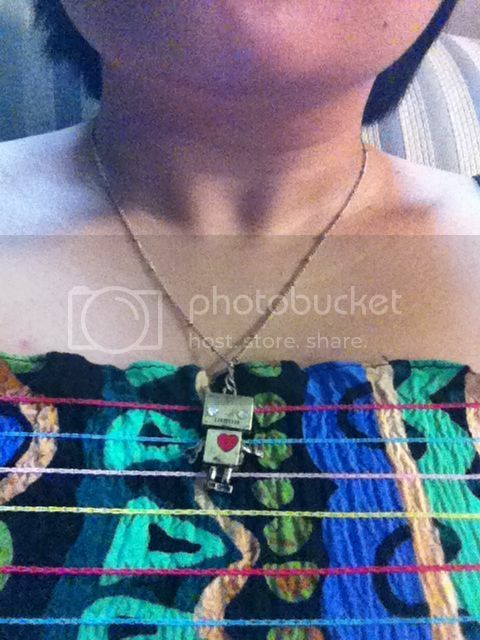 This robot necklace comes with 18 inches fine chain. At the end of the chain, it has a 2 inches extension with LAVISHY logo tag, with a Pendant Measurement: 2.2 x 3.2 cm. I acquired the gold one and I was happy about how the robot has 2 different designs. A good item for a gift idea for a friend, sister, mother or daughter, I am sure they will love this item because I do. I wear the necklace and I love how lightweight it is, the vintage style with the modern fashion just goes pretty well.